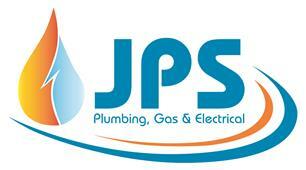 JPS Plumbing, Gas and Electrical - Central Heating Engineer, Plumber based in Winchester, Hampshire. Services you can rely on here at JPS we work with you to make sure your Gas and Electrical repairs are safely dealt with. Our tradesmen operate around Winchester and Southampton. We focus on providing excellent services, which include plumbing, heating, gas and electrical repairs. All of our work is insured and we guarantee the work carried out will exceed expectations. We pride ourselves in being the ONLY Hampshire based plumbing and electrical company that have 100% transparent charges, along with a clear upfront and open pricing system. We understand that all electrical work can cause you to become vulnerable in your homes. So report the problem before it becomes dangerous. We have a team of very experienced fault finders if you have loss of power to any of your electrical systems. Contact us 24hours a day on: 01962 674874 to report the fault and book one of our trustworthy tradesmen.